It’s election day in the United States, so we’ll be brief. In the wake of Hurricane Sandy, we have seen great tragedy, but also hope for the resilience of American democracy in the face of climatic changes, and devastated infrastructure. 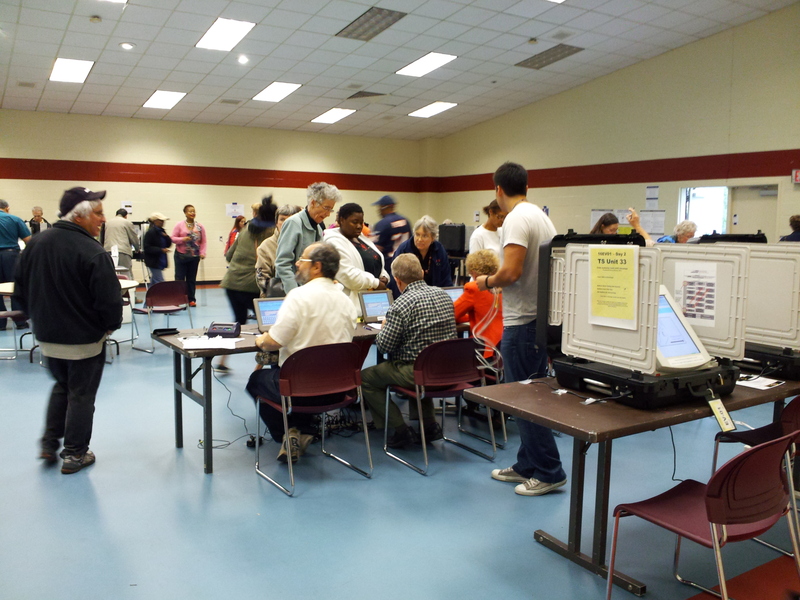 One such example involves the process of voting. In New Jersey, the U.S. military will be providing mobile polling places in the form of military vehicles for those who will have difficulty getting to the polls. Governor Chris Christie of New Jersey has also announced that voters will be able to either email or fax their votes in, offering up another channel for people to exercise their right. But it is yet to be seen how many people are kept from voting because of the storm, and how well these emergency systems work in terms of keeping that number low. Watch this space for more later. By Francesco Femia & Caitlin Werrell in climate and security on November 6, 2012 .